Babies are awesome little beach bums. You just plunk them down on the sand and give them a shovel, and they’ll sit there happily for hours. 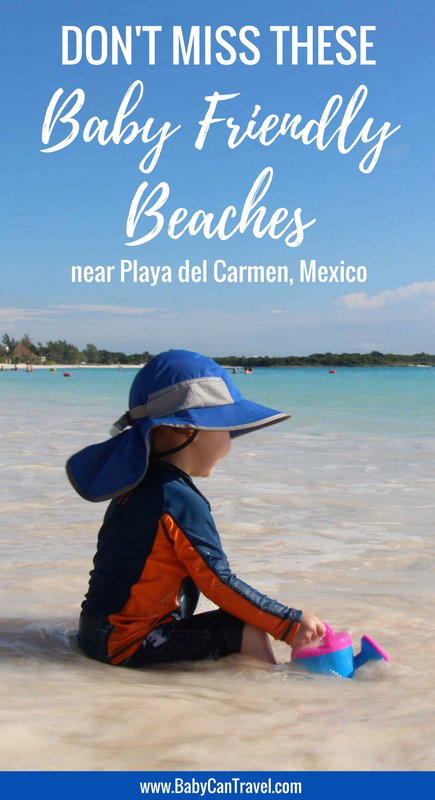 Your baby will love any sandy beach, but there are a two beaches around Playa Del Carmen which are beautiful, relatively undiscovered and especially nice for babies. Xpu-ha is the nicest beach we’ve discovered during all of our visits to Mexico. 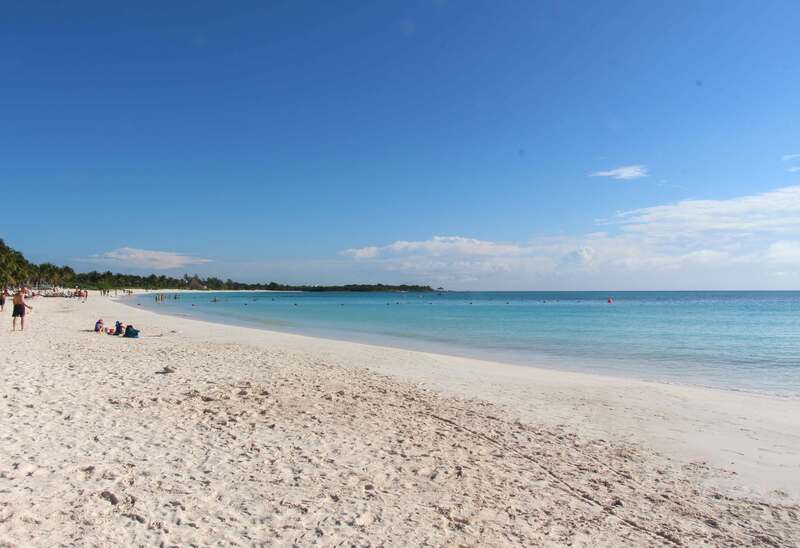 Located approximately 35 minutes south of Playa Del Carmen, this beach is secluded and not very busy. There is only one major resort on this beach, with a few other boutique hotels, allowing large stretches of beach to be unoccupied. The beach is very clean and the water is shallow. When the sun shines, the brilliant turquoise color of the water will simply blow your mind. The waves here are typically quite gentle, probably because it is protected by a point jutting out into the ocean at the north end of the beach. 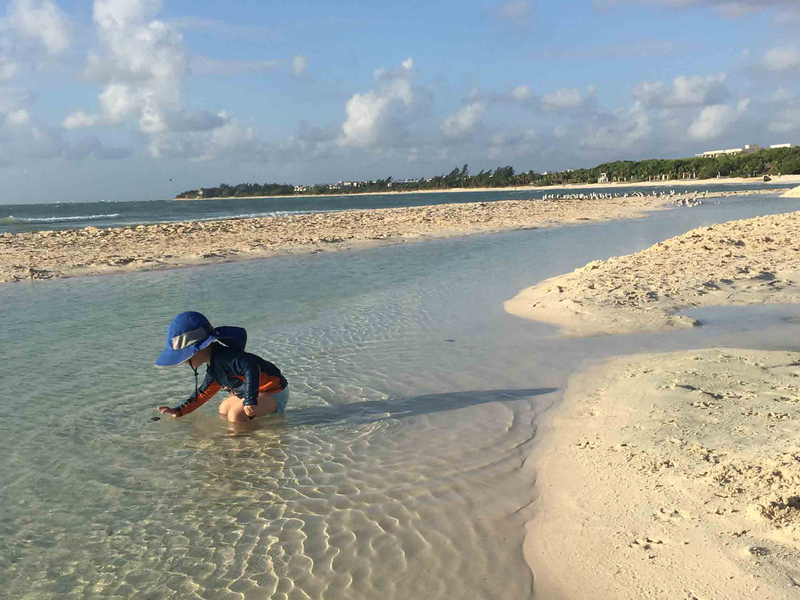 This beach is perfect for babies and young toddlers who might want to venture into the water a little, especially if you remember to bring all the beach essentials for toddlers! 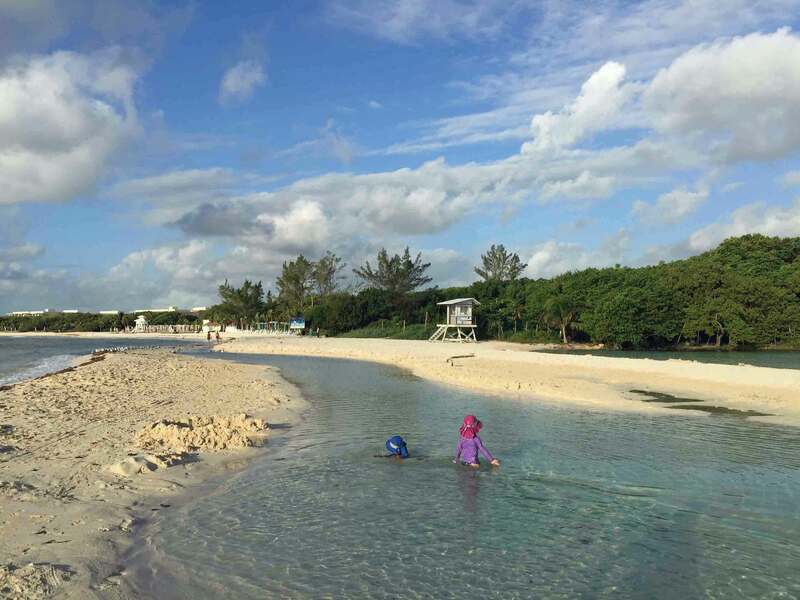 There isn’t much in the way of services on the beach, just a bar and some equipment rental shops, so make sure to bring enough food and supplies for the outing. 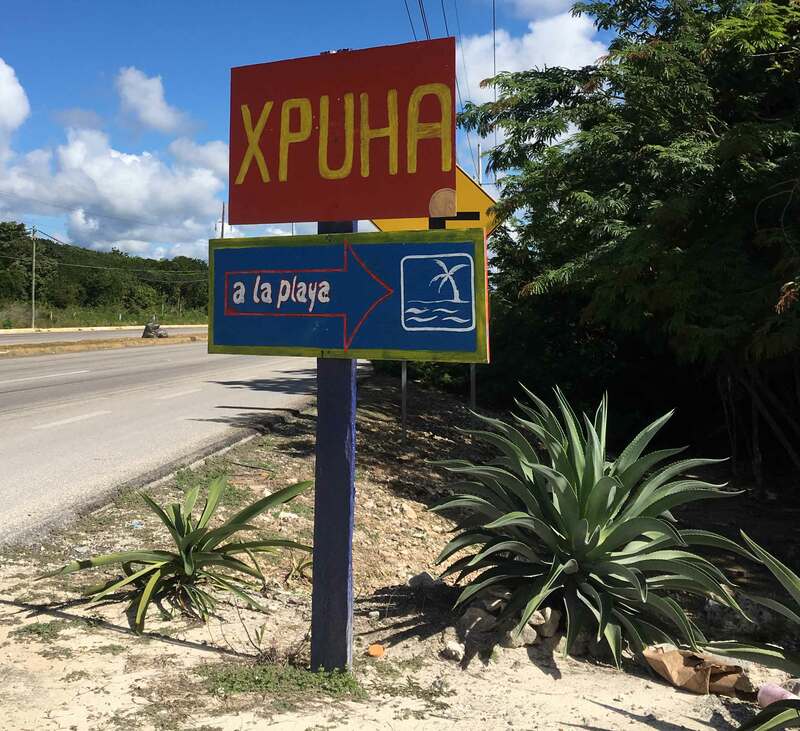 Getting there: As with all beaches in Mexico, Xpu-ha is open to public. If you are not staying at a resort on the beach, you will need to use one of the access roads. Each of these roads charge an access fee. Here is the location of the beach on Google Maps – just plug in your starting point to get directions. Watch for this sign to our favorite access road, which was the most affordable at 30 pesos (~$2usd) per adult (kids are free). 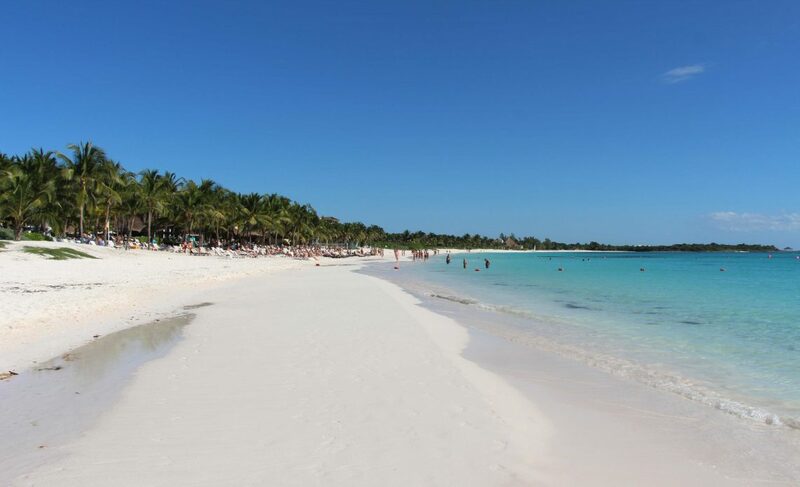 Located in the north end of Playa Del Carmen is a “locals” beach called Punta Esmerelda. This beach is partially protected from the open ocean, hidden nicely behind a point jutting out in the ocean, which helps make the waves quite small as they come to shore. 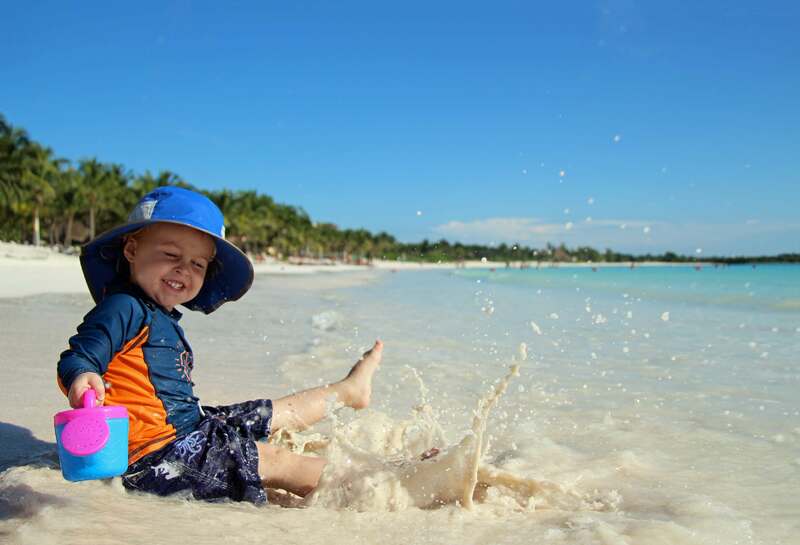 The ocean take a long time to get deep, which means your baby can get into the water quite easily. 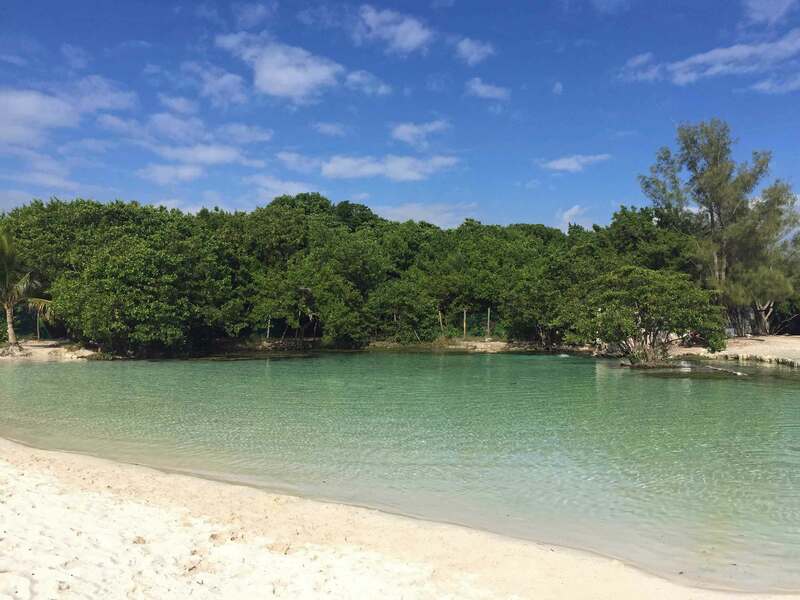 What makes this beach special and unique is the cenote in the middle of the sandy beach. The cenote is a small shallow lagoon fed by fresh water you can actually see bubbling to the surface. The water eventually flows into a small stream snaking around a sand peninsula into the ocean. 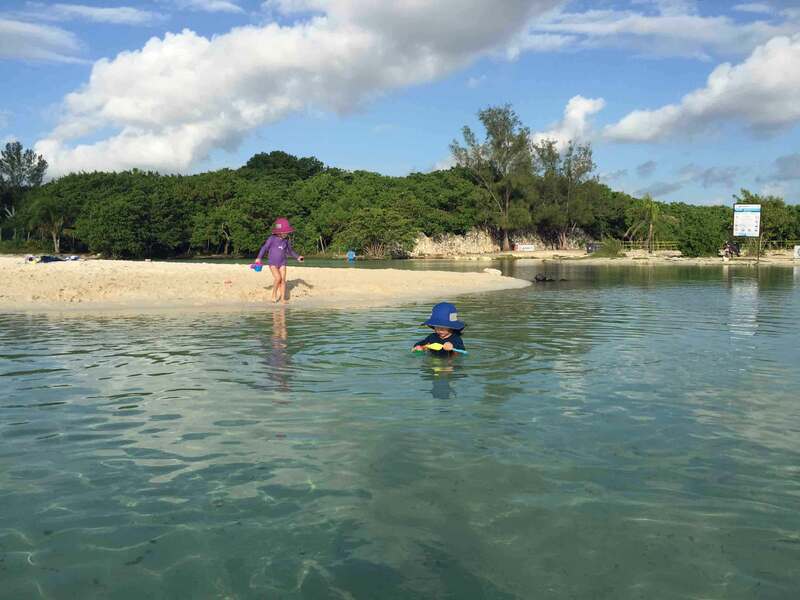 The cenote and stream are both shallow enough to enable your baby to splash around in the edge of the lagoon. The current in the stream is noticeable, so be careful when the kids are in there. What makes this especially great for babies is there are no waves in the cenote lagoon, making it like a little freshwater wading pool. 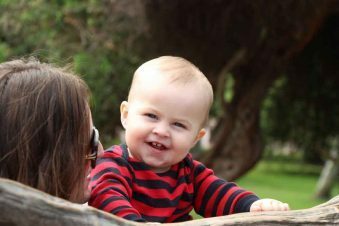 There is also a small playground with several slides which a baby will find fun if they need a break from playing in the sand or water. Getting there: Here is the location of the beach on Google Maps. Plug in your starting point to get directions. There is a paved access road, which must be reasonably new as it’s not on the Map View on Google Maps. You can see it on the satellite view though – it runs from Calle Quinta Avenida to the NE side of the beach. There is plenty of free parking along the access road. Plastic beach toys – give a baby a shovel and pail and they will sit happily for hours! Want to Stay Right on the Beach?